3D Systems company creates and commercialises quality 3D printers which are at the cutting edge of technology. The company sells various ranges for individuals and professionals, but also for large scale industrial production. The company also sells 3D printing softwear. Since its creation, the company has never stopped offering the latest high technology products to its clients. 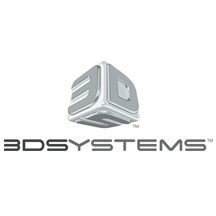 3D Systems was the company which invented SLA printing, and was the first to commercialise this technology in 1989. They also inventend SLS printing and were once again the first to commercialise it in 1992. Makershop sells the 3D Sense Cubify scanner. It is a mobile scanner which is ideal for scanning objects of all sizes and is very easy to use. The mobile scanner is ideal for scanning all types of sizes, it is very easy to use, and is intended for individuals as well as professionals. 3D Systems commercialises quality office printers which are inspired by industrial printers for individuals. These printers have the aim of making the 3D printing technology accessible to all, by offering machines which are easy to use and are not expensive. The second range of products offered by 3D Systems is intended for professionals, conceived to make quality prototypes quickly.The machines are superior in terms of precision and speed compared to standard office printers. Finally, 3D Systems offers 3D printers for industrial production, these printers are capable of printing large objects, very quickly and with great accuracy. They use advanced technology such as SLA, SLS or even DMP.